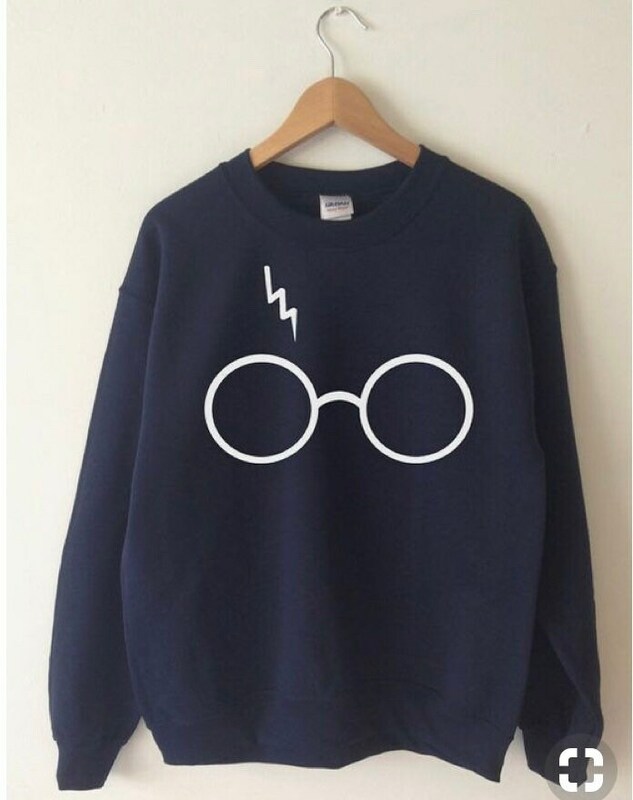 Perfect for fall is this Harry Potter inspired Navy Blue Unisex crew neck sweatshirt. We only use the softest shirts we can find. We believe that life is to short to wear a scratchy shirt! Every Harry Fan needs this comfy cozy sweatshirt to hang out in. We also have this available in gryffindor maroon. We can also print youth sizes or add names to the back just email us. The graphic is super cute but the sweater itself is short with really puffy, big sleeves. I want to put it in the dryer so the sleeves will shrink, but I am afraid it will be too short! I love it! Will order from this vendor again!